There are over 150 penalties in the Internal Revenue Code and many taxpayers are assessed penalties and never challenge them. The IRS may abate penalties, if the taxpayer requests them to be abated. Penalties should be protested if there is belief that they have been assessed unfairly. Death or serious illness of the taxpayer or a death or serious illness in his/her immediate family. Taxpayer was unable to determine amount of deposit or tax due for reasons beyond the taxpayer’s control. The facts indicate that the taxpayer’s ability to make deposits or payments has been materially impaired by civil disturbances. Other explanations may be acceptable. These examples do not contain all of the reasons that penalties are abated. Each taxpayer’s case is determined individually, and therefore a request for abatement should be prepared with the taxpayer’s situation in mind. Acceptable explanations of delinquency are not limited to the examples given above, since any reason for delinquency in filing or making deposits or payments which establish that the taxpayer exercised ordinary business care and prudence but was nevertheless unable to comply within the prescribed time will be accepted as reasonable cause. 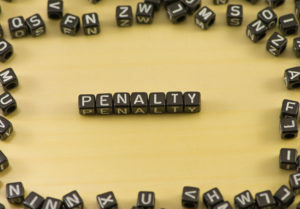 In some cases where it is the first time a taxpayer has been assessed a penalty, the IRS will abate the penalty. The taxpayer should submit a signed written statement setting forth the reasons why the penalty should be abated, and send it to the IRS with a copy of the notice showing the penalty. If abatement is denied, the IRS is required to give the taxpayer notice of the right to appeal the denial of the abatement to the IRS Appeals Office. The notice received by the taxpayer is similar to the 30-day letter sent by the IRS at the conclusion of an audit. If the taxpayer cannot convince the Appeals Officer that the penalties are improper, the taxpayer’s only choice is to pay the penalties and file a claim for refund. The IRS will not collect the penalties as long as they are being contested.